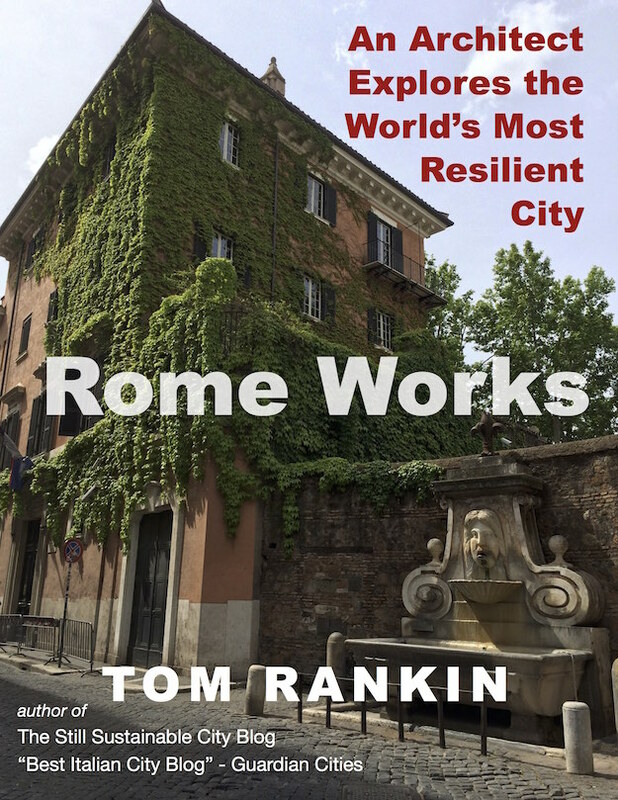 Last Sunday a small group of intrepid walkers, some from La Sapienza where I teach, joined me in commemorating the great urban thinker Jane Jacobs by exploring Rome’s Tiburtino and Nomentana neighborhoods. I had designed a similar walk years ago as part of a series I dubbed “ecological itineraries.” The idea, in keeping with the mission of the annual world-wide Jane’s Walks events, is to walk the city as an act of observation, taking the city’s pulse to see how well it is performing, especially in areas under transition. Last time I accompanied a group to this area a few months ago it was the incoming Fulbright scholars, many of whom were interested in the impact of immigration in the city. Our route took us to the informal shelters run by the organization Baobab, who have since then been threatened with forcible eviction. Years early we had met with the developers and architects of the new Tiburtino Station and the mixed-use residential development Città del Sole nearby (by Labics). On Sunday we found the station complete, although already suffering from poor maintenance. The Città del Sole project, though looking structurally complete, is still fenced in and overgrown, and the most public component, the public library in the old bus depot, is not even begun. Walking, we talked (in English and Italian) about what works and what doesn’t work. Three generations, from retired professors to young university students, shared stories about Rome and other cities. New York architect Andrew Kranis talked about new plans for Penn Station as we critiqued Tiburtina Station. We ended the walk at the Fondazione Bruno Zevi, graciously opened just for us. Zevi left Rome when the racial laws were implemented in 1938, studied with Gropius at the Harvard GSD, and returned later to Rome to found the Organic Architecture movement. It seemed a fitting end to a walk which brought together memories of a great American thinker, Jane Jacobs, and a great world city, Rome.